Our comprehensive course is designed for individuals who want to deliver meaningful results and lasting impacts in the areas of quality, cost containment, revenue enhancement, and customer satisfaction by implementing Six Sigma principles. This course prepares students for the Six Sigma Green Belt and Six Sigma Black Belt certification examinations offered through the American Society for Quality (ASQ). The course not only teaches the framework of the American Society for Quality's (ASQ's) Six Sigma Green Belt and Black Belt body of knowledge, but also allows you to test and apply the framework through quizzes, engaging exercises, fun games, and case studies. This unique course design provides on-the-job readiness to analyze quality problems and be involved in continuous improvement projects in the real world. It is an ideal course for the Six Sigma project leader and team member. 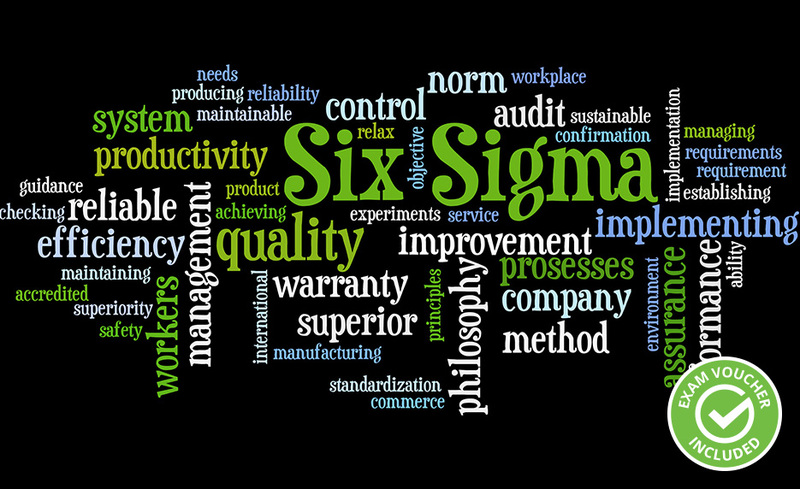 In this course, you'll learn how to effectively apply the concepts and methods of Six Sigma. You'll discover how the vast number of topics—value-stream mapping, failure mode and effects analysis (FMEA), process capability, control charts, statistical process control (SPC), design of experiments (DOE), and many more—can increase your overall quality IQ. After completing this course, you'll be well-prepared to sit for the Six Sigma Green Belt and Black Belt certification exams offered by the American Society for Quality (ASQ) as well as be positioned to add value to a wide variety of organizations as a project manager and team member, including manufacturing companies, service operations, and the government sector. Yes. ASQ Certified Six Sigma Green Belt and ASQ Certified Six Sigma Black Belt.